For years, Embody MedSpa has changed the lives of clients with skin lesions and unwanted hair with intense pulsed light. North Reading, MA residents come to us for the best in image enhancement technologies, techniques, and procedures that improve the skin and body. There’s a relationship between looking good and feeling good. When sun spots, vascular lesions, and unsightly hairs get in the way of you feeling your best, Embody MedSpa has a solution with intense pulsed light therapy. What Is Intense Pulsed Light Therapy? Intense pulsed light (IPL) therapy uses high-powered, hand-held flashguns to send pulses of light into the skin. The light uses a range of color wavelengths to reach multiple color molecules in the skin—mainly melanin, hemoglobin, and water. The flashgun works using bursts of electrical current passed through a xenon chamber, directed toward the hand piece, which then releases the energy pulse into the surface of the skin. The precise pulses of light target dark spots of skin, leading to the visual elimination of unwanted blood vessels, pigmented cells, and hair follicles. By applying different filters, clinicians can selectively target desired cellular or structural elements within the skin depending on the problem. The team at Embody MedSpa goes through weeks of training for intense pulsed light in Reading, MA, and they know how to adjust filters with expertise. Meet our team of licensed medical aestheticians. Apart from wavelength variations, we can also customize pulse duration, sequences, and delay time to give you a more precise experience. The individualization we put into our treatments is part of what makes Embody MedSpa a premier spa and wellness center throughout New England. The word laser is actually an acronym that stands for Light Amplification by Stimulated Emission of Radiation. Both IPL and laser hair removal use heat and light to damage the hair follicle and reduce hair growth. However, intense pulsated light uses a lower temperature light. A laser emits one concentrated wavelength of light while intense pulsed light contains multiple wavelengths in different colors. IPL devices use a lamp to produce energy, thus resulting in a more diffused and less powerful penetration than lasers. Follicle penetration is more shallow than with laser hair removal, yet penetration is deep enough to improve skin texture. Different forms of hair removal will work better for different skin tones, hair colors, and hair thicknesses. For the most effective means of hair removal for you, come to Embody MedSpa free skin assessment and consultation. We’ll take an in-depth look at your individual needs and hair removal goals and suggest whether we believe IPL therapy or laser hair removal is right for you. Thousands of people around the word have found relief from broken blood vessels, brown pigmentation, age spots, and the inflammatory skin condition rosacea with intense pulsed light. Reading, MA residents who suffer from these skin problems and others can come to Embody MedSpa for innovative, top-of-the-line procedures using intense pulsed light technology. Read more about the facts and fixes for rosacea. Embody MedSpa offers Lumecca IPL Photofacials using a flashgun developed by industry leader InMode. We train our licensed aestheticians to expertly handle the Lumecca device using best practices to give our clients optimum results. Intense pulsed light is excellent for removing skin redness, brown spots, and broken blood vessels in the face, hands, neck and chest. It’s a safe, non-invasive procedure with minimal pain or side effects. Large skin surface area coverage. The multi-wavelength system of IPL covers much of the skin’s surface with each pulse, making treatments fast and easy while still treating a variety of skin conditions and large surface areas. Melanin targeting. IPL works by targeting melanin, the element in your skin that creates dark spots. IPL targets and eliminates melanin from chronic sun exposure, including freckles, sun spots, and other dark spots. Acne erasure. If you’re one of many Americans with mild to severe acne problems, including pockmarks and scarring from acne, IPL helps combat this condition and eliminate large pores. Anti-aging capabilities. IPL does more than just remove dark spots on the skin—it also reduces or removes wrinkles, stretch marks, scars, spider veins, and age lines in the face, neck, and hands. Skin texture improvement. IPL treats a slightly deeper layer of the skin. IPL photofacials stimulate collagen growth, simulating minor dermal injuries to improve skin texture. Little to no downtime. Since IPL is a non-invasive procedure, clients have little to no recovery time afterward. You’re free to return to normal activities the same day and apply makeup right away if necessary. Intense pulsed light therapy can solve many skin problems all at once and remove unwanted hair. It’s truly a comprehensive solution to dozens of different skin issues with next to no effort on your end. If you’re sick of trying to cover up or hide sun-damaged or blemished skin, it’s time to make a change. When you’re ready to start your treatments with intense pulsed light in North Reading, MA, come to Embody MedSpa. 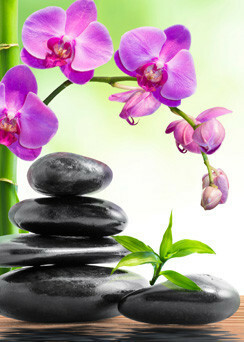 Embody MedSpa has pioneered the health and beauty industry in North Reading, MA for years. Our dedicated staff loves helping men and women reach their personal goals with state-of-the-art technologies like intense pulsed light therapy. For daily beauty tricks, tips, and updates, follow us on Twitter. To schedule an appointment with Embody MedSpa and get started with intense pulsed light, Reading, MA residents can call (978) 207-0345.